In coordination with Douglas Forest Protective Association, Douglas County Fire District No. 2 has announced that the 2018 fire season will officially begin Friday, June 8th at 12:01 a.m. on all properties within the boundaries of Fire District 2. The declaration of fire season imposes certain fire restrictions on both the general public and industrial operators to help prevent wildfires. 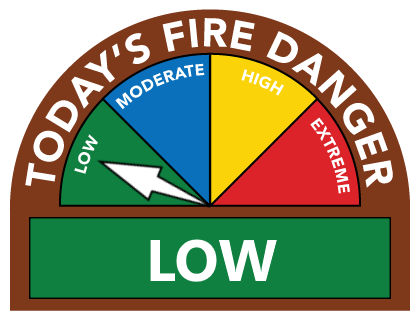 With the declaration of fire season, the use of exploding targets and tracer ammunition are prohibited within Fire District 2. The start of fire season also means the end of unregulated outside debris burning for Fire District 2 residents. Due to poor burning conditions which have come earlier this year than normal, burn permits for debris piles and burn barrels will not be issued. In addition, fire officials recommend checking any debris piles that were burned earlier this spring. If not properly extinguished, burn piles have the potential of smoldering for weeks, or even months, before popping back to life on a warm, windy day. As fire season progresses, additional public and industrial fire restrictions may be imposed as fire conditions become more severe. For more information regarding property protected by Fire District 2, please contact the District at 541-673-5503, or visit www.dcfd.org. A public meeting of the Budget Committee of the Douglas County Fire District No.2, Douglas County, State of Oregon, to discuss the budget for fiscal year July 1, 2018 to June 30, 2019, will be held at 6000 Garden Valley Road, Roseburg Oregon. The meeting will take place on the 1st day of June at 6:00 PM. The purpose of the meeting is to receive the budget message and to receive comment from the public on the budget. A copy of the budget document may be inspected or obtained on or after May 26, 2018 at Douglas County Fire District No. 2 Administration at 1400 Buckhorn Rd., Roseburg between the hours of 8:00 am and 4:30 pm. A public meeting of the Budget Committee of the MedCom Ambulance Authority, Douglas County, State of Oregon, to discuss the budget for fiscal year July 1, 2018 to June 30, 2019, will be held at 1290 NE Cedar Street, Roseburg Oregon. The meeting will take place on the 17th day of May at 11:00 AM. The purpose of the meeting is to receive the budget message and to receive comment from the public on the budget. A copy of the budget document may be inspected or obtained on or after May 11, 2018 at Douglas County Fire District No. 2 Headquarters at 1400 Buckhorn Road, Roseburg between the hours of 8:00 am and 4:30 pm.